As per the official statement, Mahindra Xylo is getting a new makeover and its new look is expected in few hours only. Pictures of this upcoming new model of Xylo 2012 will be published officially on the official website of Mahindra Xylo. Check out the new released pictures of this new stylish and one of the most famous MUV of Mahindra at http://www.mahindraxylo.co.in/. This new attractive look of is assumed much better than previous as per leaked pictures in the internet. This new Mahindra XYLO 2012 E9 is expected to have improved ergonomics and few other features. The front part of this new Xylo is definitely getting a makeover as per the leaked pictures, but for checking whole body of this new model – you will have to wait a few more extra hours. So no more waiting for this gigantic release by Mahindra. Watch out this space for new released pictures of New 2012 Mahindra Xylo. 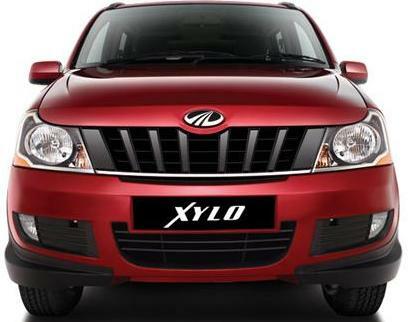 New Mahindra Xylo 2012 price in India – starting from Rs 737,000 to Rs 10.25 lakh.